As a Sommelier, we are expected to know about all types of beverages. One that I haven't written about is Sake. I just don't run out to the store in search of sake, but a large part of the world does. This weekend, I will be discussing alternate fermentations, which includes beers, ciders and sake. So, I thought I would share some of the discussion here. So what is sake? Is it wine, or is it beer? Wine is made from fruit (typically grapes), and beer is made from grain. Well sake is made from rice, and rice is a grain, so shouldn't sake be considered a beer? Also, sake is brewed, whereas wine is not. The challenge is that sake has a much higher alcohol level than beer (on par with wine), and is not carbonated. 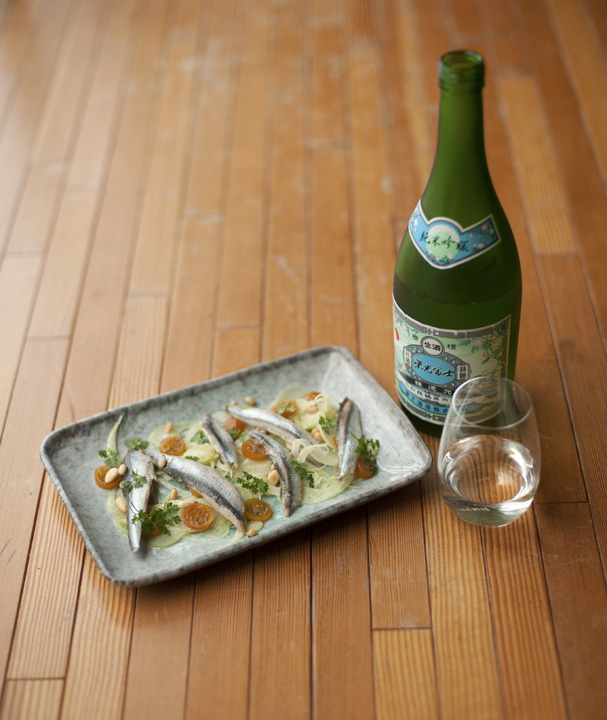 For our discussion, let's just say that sake is something in between a beer and wine. Sake is actually a pretty complicated beverage to produce. 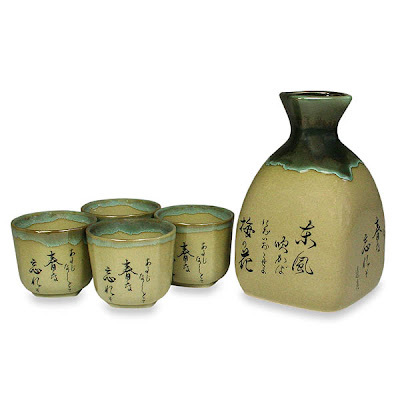 The Chinese and Japanese cultures have been producing it for over 2000 years. What started as a mushy porridge type product, with low alcohol, has developed into a quite refined product. 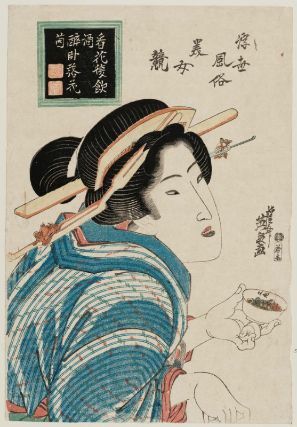 The word "sake" can refer to any type of alcoholic beverage in Japan, so in Japan, to clarify that we are talking about the rice beverage, it is called "nihonshu". The main ingredients for making sake are: rice; water; koji mold, and yeast. Additionally, alcohol can also be added. The rice is not your typical dinner rice. First, all rice is brown in color. It is then milled, to get to the white core of the grain. When making sake, the type of rice used affects the final flavor, fragrance and texture of the sake. Also, the rice grains of sake rice (sakamai) contains a higher concentration of starches in the core. Surrounding the starches are fats, proteins, and minerals that are generally detrimental to the sake brewing process, so they are milled down, or polished (seimai). The amount that is polished off determines the degree of seimaibuai, or amount of remaining grain size. This will be labelled on the bottle of sake. 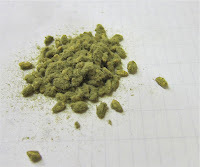 The finer the milling, the higher the potential quality. Ginjoshu is rice that has at least 60% of the original grain remaining, and daiginjoshu has least 50% to 35% of original grain remaining. Since Sake is 80% water, the source and quality of the water is very important. It is used throughout the sake brewing process. The most famous water comes from the city of Kobe, filtering slowly through the nearby Mt Rokko. It is known as Miyamizu (“Shrine Water”). As with beer making, the starches in the grain must be converted to usable sugars. In the case of sake, the rice is mixed with a mold, called koji mold (aspergillus oryzae), which produces the necessary enzymes to break down the starches in glucose and sugar. Yeast is then added to the rice creating moromi (a porridge like substance). The moromi fermentation takes place in large tanks where the yeast reacts with the newly formed sugars to create alcohol. 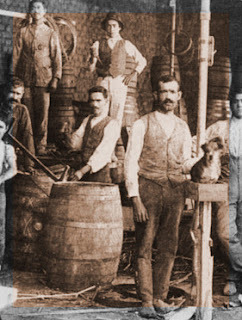 After sitting for 18 to 32 days, the moromi is pressed, and the fermented liquid is charcoal filtered, pasteurized, blended, and alcohol level adjusted to about 16% (by the addition of water). Undiluted sake is referred to as Genshu. Nigorizake – when the moromi is pressed, the white rice solids that did not ferment are separated from the clear nihonshu. Nigorizake is sake in which some of this white stuff (sake kasu) is left in the sake. When it comes to pairing sake with food, the same "rules" that we use for wine pairing apply. Since sake varies, just as wine does, each Kura (sake brewery) creates it's own style. Also, most Americans are used to warm sake. The finest sake is served chilled, similar to a fine wine. This short blog about sake doesn't do justice to the complicated processes involved in creating the beverage. My hope is that you will at least consider picking up a bottle, and exploring these interesting beverages. There is a whole new world awaiting your exploration! I know, I missed my weekly blog last week and a couple people asked me what was going on. But, I have to say I am glad when people call me out about not updating the blog posts, as it shows there are people interested in the articles I write. No I don't make any money off of this but it is a way for me to keep current in what is going on in the wine world, and allows me to find out what interests you. That said, it has been a fairly busy week for me. Not only have a taken on a new business partner in my "day job", but I organized a Northern Italy wine tasting event last week, and have been grading mid-term exams for my Sommelier students, as well as prepping my course material for South American wine study. Where the interesting path crossed with my South America course prep, was the history of South America, and the Spanish, Italian, Portuguese and German immigrants that came to that part of the world in the late 1800's and early 1900's. They brought with them many of their local grape vine cuttings. 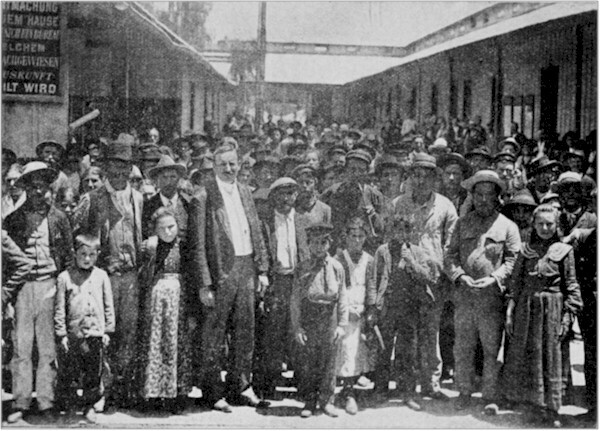 The influence of these immigrants, on the local wine culture, is strongly felt today. Quick...what grape(s) do you associate with Argentina? How about Chile? If you answered Malbec, Torrontes, Carménère, those are good answers. Where did they come from? South America has no natural Vitis Vinifera (wine grapes). All of them were brought there. In a previous article, I gave the quick history of how the wine grape spread around the world, but I left out the immigrants who brought their local vine cuttings with them, along with their agricultural know-how. As phylloxera hit the European continent, and countries moved away from agricultural societies, the displaced farmers sought a new beginning. South America offered colonies with agricultural promise, so the move was natural. Malbec and Carménère (along with Sauvignon Blanc, CabernetSauvignon, Merlot, Syrah, Pinot Noir, Viognier and Chardonnay) came from France. Torrontes is thought to be a cross between Criolla (also known as the Mission Grape in California) and Muscat. Tannat is another grape that shows up in Uruguay. This grape is better known as Madiran in Southwest France, close to Basque country. While Argentina is known for Malbec and Torrontes, a number of other grape varieties are being grown, and gaining popularity. Most of these are from outside of France: Bonarda (which may be Charbono that is found in France), Sangiovese (Italy) Tempranillo (Spain) and Pedro Jimenez (Spain). Even Riesling (Germany) is beginning to show up in the cooler regions. Thanks to these immigrants, we don't have to live on Cabernet or Chardonnay alone. There are so many different choices coming out of South America. Sure, you can find a lot of these same grape varieties in California, but here's a little secret (well not so secret anymore)...the wines from Chile and Argentina are not very expensive. They tend to be a bit more "rustic" in style, but I find that difference exciting. For around $15, you can pick up a nice bottle of wine. And, most South America wines are ready for drinking right now. Two posts ago, I shared a wine tasting event at a local restaurant. One of the white wines was Muscadet Sevre-et-Maine Sur Lie. Since most are probably not familiar with this grape, I thought I'd share a bit, in the hopes that you will seek out a bottle, and try some. Muscadet (also known as Melon de Bourgogne) is different from Muscat, which most people associate with grapey, lightly sparkling wine. There is an old story that Melon de Bourgogne arrived from Burgundy via the Valois Dukes who gave their poorest variety to the Loire as a joke. Only France would consider this a practical joke! It is thought that Muscadet is a cousin of Chardonnay. Muscadet is generally an undistinguished and neutral variety with some apple, citrus and herb notes. But with lees contact, is much improved. It also ripens early, regularly, and fairly generously, making it useful in the cool maritime climate of Loire Region in northwest France. 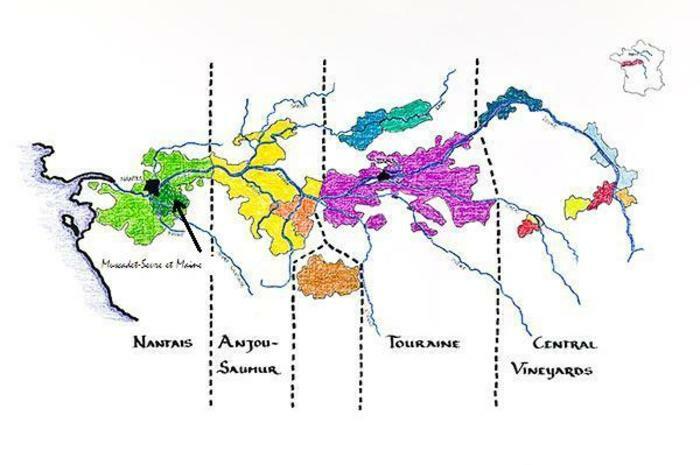 Its' home is in the Pays Nantais region of the Loire, thanks to influence of Dutch merchants. The Dutch liked the fairly neutral grape for making Brandy. 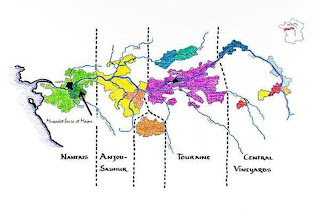 The most significant appellation is Muscadet Sevre et Maine, which accounts for half of production in the Nantais region, though there is also Muscadet des Coteaux de la Loire in the north, and Muscadet Cotes de Grand Lieu in the south west. 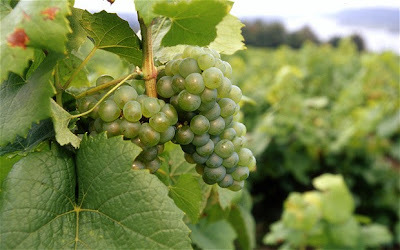 Muscadet is the basic appellation for wines without lees contact. At their best, these basic Muscadet appellation wines are ordinary and pretty straight forward. The wines are generally pale with green flecks. The aromas of the Muscadet are abundant in white flowers and fruit. 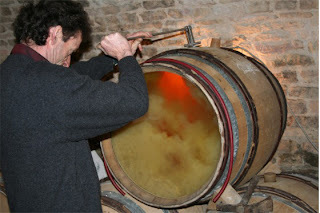 Typically, Muscadet vinification is done in cool stainless for the most part, and after fermentation, the wines are stored over the winter on their lees, which imparts a subtle yeastiness and, occasionally, a slight spritz. The term "Sur Lie", which is often associated with Muscadet, translates to "aging on the lees," and often referred to as "yeast contact." Wine is aged in the barrel with the yeast retained, rather than being clarified before aging. Aging on the lees increases the complexity and creaminess of the wine. 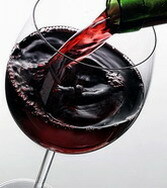 The lees function as an antioxidant but can occasionally taint the wine. Bottling is usually in the spring after the harvest—but definitely before the next harvest—it is often bottled directly from tank. The slight residues of carbon dioxide which remain after fermentation give the wines their particular freshness and special liveliness on the palate, often referred to as the ‘pearls of youth’. They also offer a great finesse and a characteristic bouquet. It is required to have 12 % or less alcohol, and a high level of acidity. Muscadet shines as one of the great seafood wines (in particular shellfish). 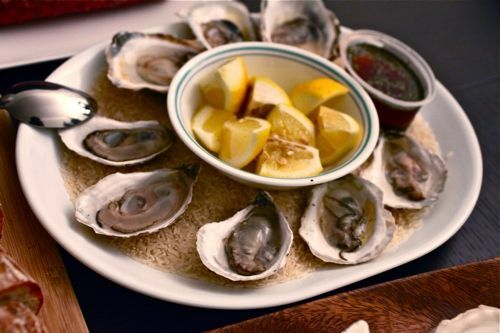 The classic pairing is with raw oysters. It is also wonderful with (and in) mussels à la marinière and mussel soup with saffron, and with simple grilled fish. Muscadet may have been the wine used in the original beurre blanc, a white butter sauce from Muscadet's native Pays Nantais.